Landau is thrilled to announce two wins for the 2018 Master Builders’ Association Building Excellence Awards! 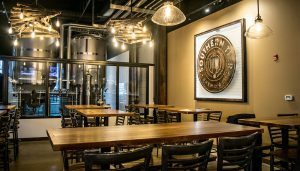 Southern Tier Brewing Company – Pittsburgh won Best in Interior Craftsmanship, and East Liberty Presbyterian Church “Building Our Future” Renovations won for Renovation Construction Under $5 Million. Southern Tier has become a popular spot on the North Shore, and East Liberty Presbyterian Church is a staple in the East Liberty Community. Landau is proud to have contributed to their success, and we are proud to be recognized for our hard work in making their dreams come true. 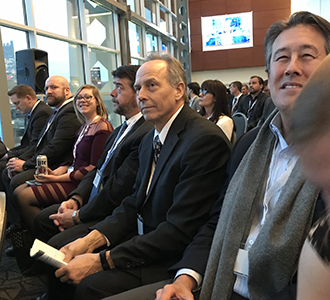 The 2018 Master Builder Association (MBA) awards were presented at the 2019 Evening of Excellence at the Heinz Field East Club on Thursday, February 28th. Landau Building Company has two project finalists for the 2018 MBA (Master Builders Association) Building Excellence Awards this year! 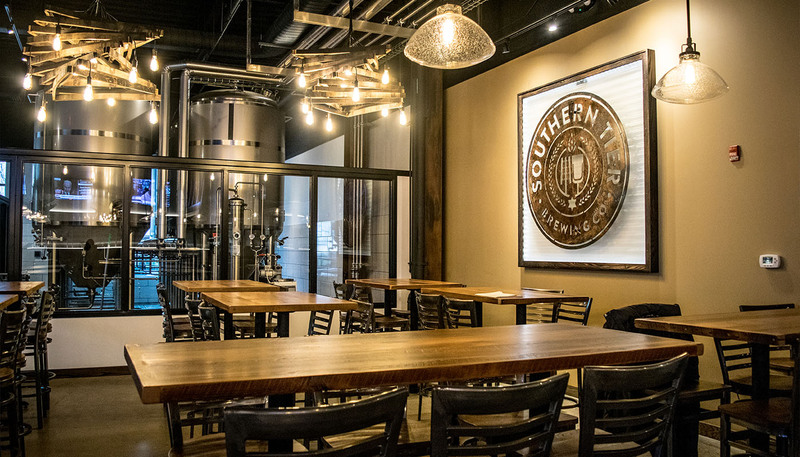 Southern Tier Brewing Company – Pittsburgh is a finalist for Best in Interior Craftsmanship, and East Liberty Presbyterian Church – “Building Our Future” renovations is a finalist for Renovation Construction Under $5 Million. Southern Tier and East Liberty Presbyterian Church are well-known throughout the Pittsburgh community, and we are proud to showcase our contributions on both projects. 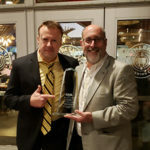 All of the award winners and finalists will be announced at the MBA Evening of Excellence on February 28th, 2019 at the Heinz Field East Club. The Evening of Excellence is one of the biggest nights in our region for the construction industry, celebrating everyone’s skills and hard work throughout the year. 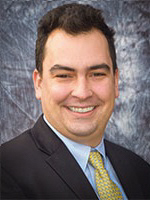 Landau welcomes Noel Rangel as Project Engineer! Noel graduated from the University of Pittsburgh with a B.S. in Civil Engineering, and he is a member of the American Society of Civil Engineers and the Society of Hispanic Professional Engineers. Noel has experience working as a Resident Project Representative for a civil engineering firm and interned for an international steel piling supplier. In his spare time, Noel enjoys running, reading, hiking, camping, and cooking. Landau Building Company was among those honored at the Passavant Hospital Foundation Legacy of Caring Gala. The Foundation recognized Landau’s contributions over the past 28 years, totaling to $51,600. Landau has been proud to be affiliated with the Foundation and is humbled by the recognition. The gala was truly a wonderful night, especially hearing about the contributions made by the other honorees, including doctors, nurses, and affiliated individuals. 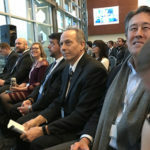 In attendance was past president Roy Landau, who assumed leadership in the 1970’s and first established relations with the Foundation, as well as current president and Roy’s son Jeff Landau, who continues to support the Foundation. 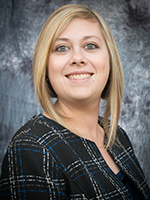 Landau would like to welcome Lindsey Grasinger as Project Engineer. Lindsey graduated from Penn State Harrisburg with a B.S. in Structural Design and Construction Engineering Technology. She grew up flipping houses with her parents and enjoys crafting, gardening, and baking in her spare time. Lindsey is also getting married in December, and we wish her the best! On Friday, September 21st, Landau held its annual Customer Appreciation Shoot at Millvale Sportsmen’s Club. We were lucky with beautiful weather again and had a great time with everyone who attended. A special thank you to AG Mauro Company, Allen & Shariff, Blumling & Gusky, Carl Taylor & Sons, Construction Tool Services, DeWalt Service Center, Fallon Electric, Hanlon Electric, Paul Lumber & Supply, RAM Acoustical Corporation, Seubert & Associates, and Triad Engineering, all of whom donated great raffle prizes to our event. All proceeds from the raffle and the 50/50 benefited the Passavant Hospital Foundation. More pictures from the shoot can be found here. Marks-Landau Construction, a wholly owned subsidiary of Landau Building Company, is pleased to announce the completion of the $23.1 million Wheeling Hospital Continuous Care Center in Wheeling, WV. The new 106,330 SF, three-story nursing facility replaces the smaller care center that was adjacent to the hospital. 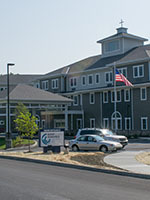 The building consists of 144 private resident rooms, country kitchens with restaurant-style dining areas on each floor, family/patient lounge areas with televisions and fireplaces, chapel, activity rooms, therapy gym, bathing spa, clinical support spaces, hair salon, and a commercial kitchen that supplies the building’s food service venues. Because of its location on the hilltop behind the hospital, many rooms offer beautiful views of the West Virginia mountains. One of the main design goals was to create a more residential atmosphere that would make occupants feel more at home. The owner was extremely pleased with how the design and construction goals came together and has already received multiple compliments on the facility. Residents were welcomed on Friday, July 27th. Thank you to our summer intern Derek Miller for all of his hard work! 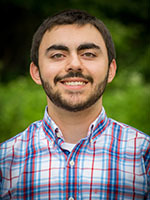 Derek joined Landau this summer as a project engineer to begin learning the ropes of construction. Derek is studying Civil Engineering and will be entering his junior year at Pitt. 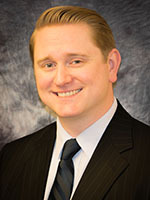 Congratulations to Doug Brenneman on his promotion from Project Engineer to Project Manager! Doug started at Landau in 2014 as a Project Engineer and quickly became an asset to the company. He transitioned into the Estimating department for a time where he gained an understanding of the preconstruction process. This further strengthened his skills when he returned to project engineering and now enhances his abilities as a Project Manager. 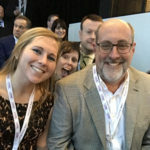 Doug has assisted on some of Landau’s largest projects, including the $23M Bishop Michael J. Bransfield Continuous Care Center, the $15M United Hospital Center Orthopaedic and Spine Center, the $7M Robert Morris University School of Nursing, and various others. In his spare time, Doug is an avid hunter and camper. 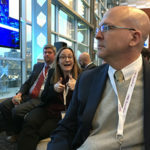 Jen’s career at Landau has spanned 17 years. She has a B.S. in Civil Engineering and a M.S. in Construction Management from the University of Pittsburgh. She is also a LEED Green Associate. Jen has worked nearly every position, including estimator, project engineer and project manager. 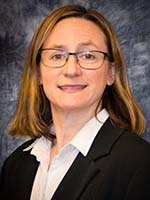 She will continue to manage a major portion of Landau’s projects. 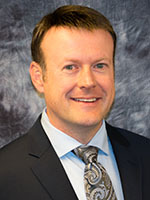 Dave began his career at Landau in 1994 when he graduated from the University of Pittsburgh with a B.S. in Civil Engineering and Environmental Engineering. After working as both a project engineer and project manager, Dave’s attention to detail, creative problem solving, and strong work ethic proved to be a perfect fit for the estimating department that he now manages. Chris has also worked for Landau for his entire professional career. 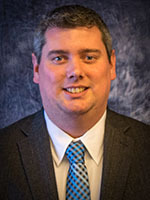 He began as an intern project engineer during college and then was hired full-time as estimator upon graduation from the University of Pittsburgh with a B.S. in Civil Engineering. He brings great value during the pre-construction process, and his long-standing relationships with the subcontractor community produces competitive pricing on all his estimates.